Holiday Home Tours Recap and Link Party For You! 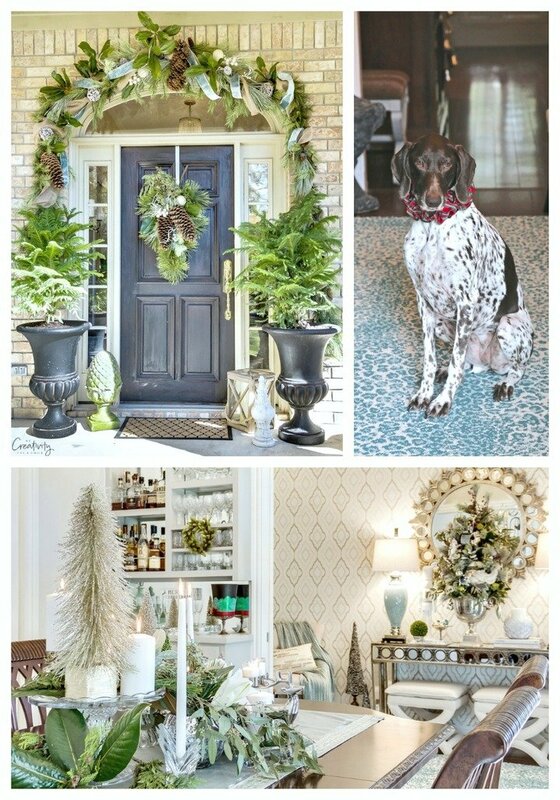 The 12 Days of Holiday Home Tours was so much fun and seeing all of the beautiful and creative Christmas decor (and TONS of ideas) in all of the blogger’s homes was so inspiring for me! If you missed my Christmas home tour last week, you can find it here. A big thank you to Evolution of Style and 11 Magnolia Lane for organizing/hosting the tour this year and Lynch Creek Farm for sponsoring the tour this year. The great part is we are not done yet and it’s now YOUR turn to link up and share your Christmas home tour or decor at the end of the post. You can also share on Instagram (you can find me here) by using hashtag: #12daysofholidayhomes and we’ll all be sharing and featuring our favorites. Before we jump into the link party, I wanted to add easy recap images from each blogger on the tour to make it easy for you to click go right to their home tour. Just click on the blogger’s image below to go right to their tour. So the 12th day of Christmas in our tour is your day to link up your own Christmas tour. Your tour and link will appear on multiple blogs that are all sharing the tour and link party! For those of you not familiar with a link party, you can click on any of the images below to tour all of the tours linked up.